Famous for the volcanic landscape, Roquefort blue cheese and spring water. Vercingétorix and the marquis de La Fayette and even skiing. Small farming and old silver mining villages are perched on steep hill sides and in deep river valleys. A region offering varied and striking contrasts, the grass topped dormant volcanoes at almost 2000 metres above sea level descend to rich green forest and deep river gorges which curve and cut their way downstream. The buildings change colour from village to village as the black lava gives way to various tones of limestone. 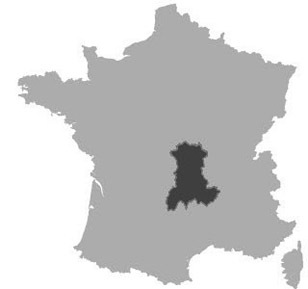 The region was offered a last stand in preserving their own language before being forced to speak French. 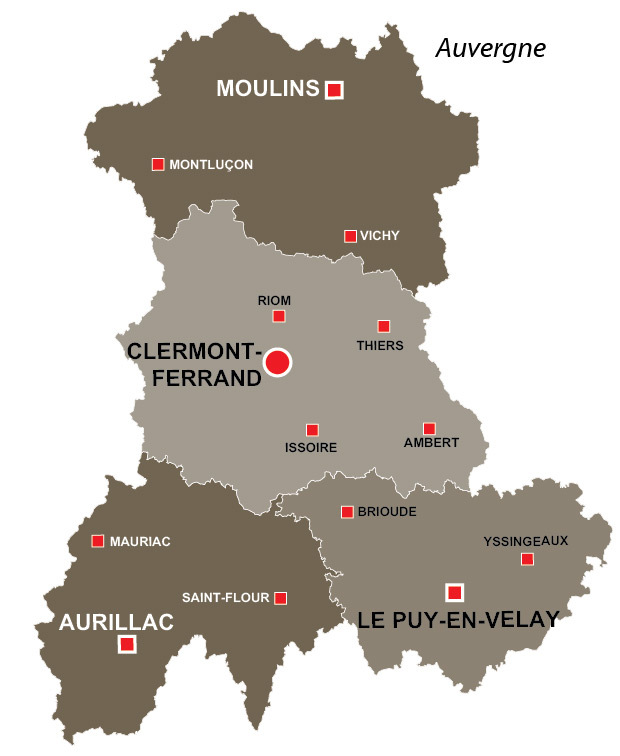 Hot summers and cold winters, living in the Auvergne requires a strong character and personality, the local people always offer a warm welcome. 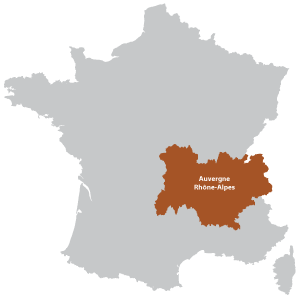 An article about the Auvergne region with photos. A voyage through the ages of our planet earth to discover everything about Volcanoes. This is not an amusement park, but a fun journey for all the family. Using the latest multimedia and 3D techniques, you will have the thrills and sensations of being in earthquakes, volcanic explosions and even flying on the back of a dragon. Great fun and a must.. go and visit Vulcania. Tourisme office : Much information and assistance for you when visiting or planning a vacation in this region.